Naturally a number of you have been asking where/when you can hear some demos of the Blue Nebula. Thanks to Steve Reynolds and Alan Simm for permission to post these links to their excellent recordings made using their Blue Nebula pedals. Update: Two more Blue Nebula tunes. These are from Tonnie Tijssen – scroll down to the bottom of this post. This entry was posted in Audio, Blue Nebula, Demo on August 9, 2016 by guitarphil. This unit was built for Mario Voltolini in Italy. 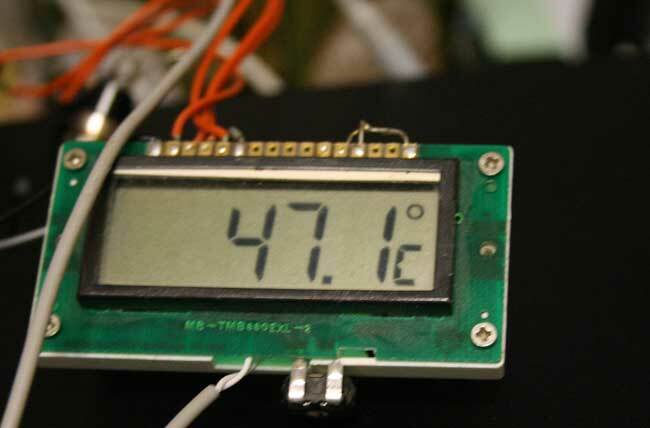 It uses a new motherboard pcb and LCD display board designed by Eric Thacker and a number of new subassembly pcbs designed by yours truly. 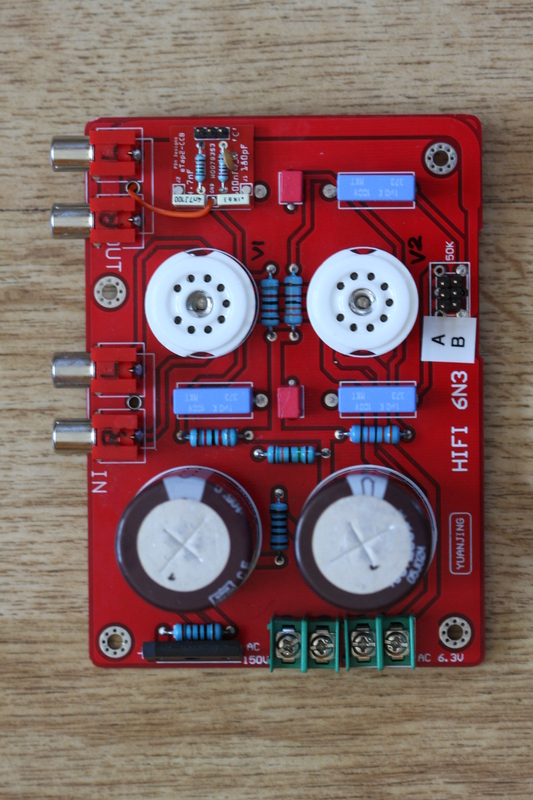 These new boards support the modifications devised by Steve Mitchell and myself to improve the sound and suitability of the Yuan Jing 6N3 valve preamp for use with a guitar input, rather than its original design purpose as a HiFi preamp. 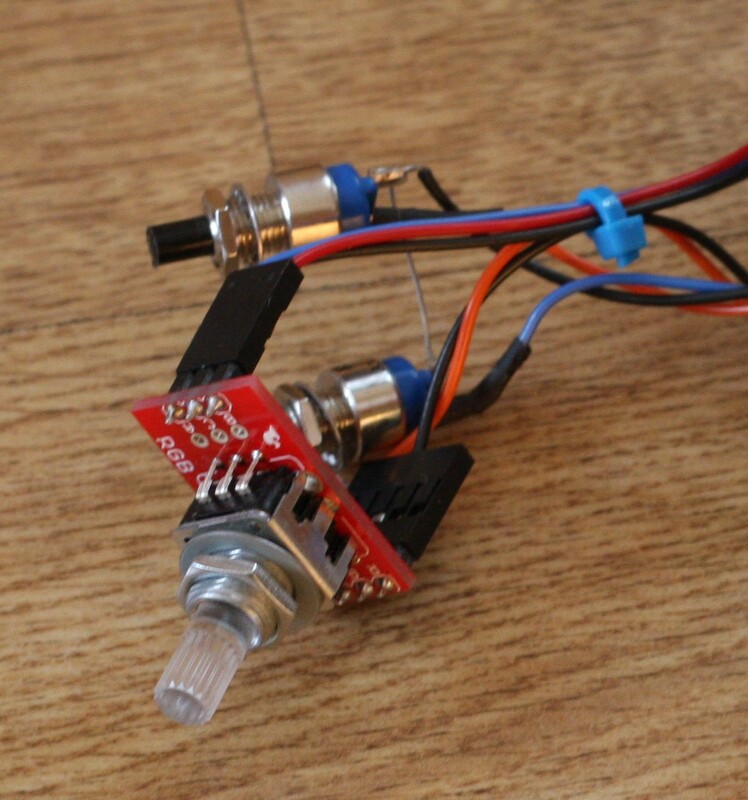 There is also a neat little MIDI interface board and a switchable Cutting Edge Filter (CEF) as per the design by Charlie Hall. 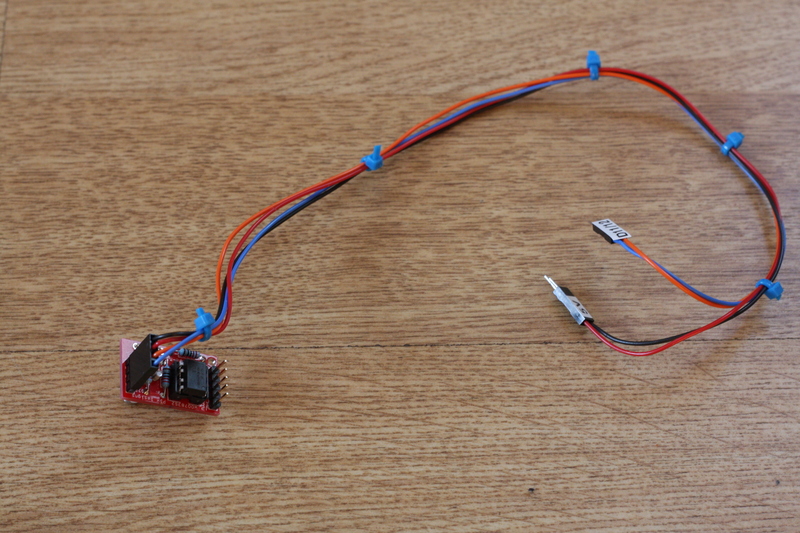 Mario requested the ability to turn off the echo by using a remote footswitch so I added a bypass circuit using a signal relay to bypass the echo module. 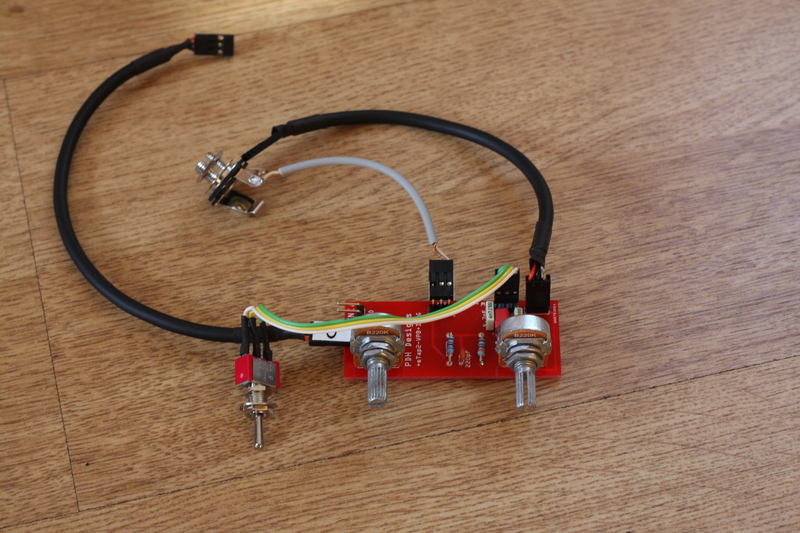 It’s not true bypass as we wanted to retain the tone of the valve preamp when bypassed. Click on the thumbnails below for a larger picture and explanatory captions. 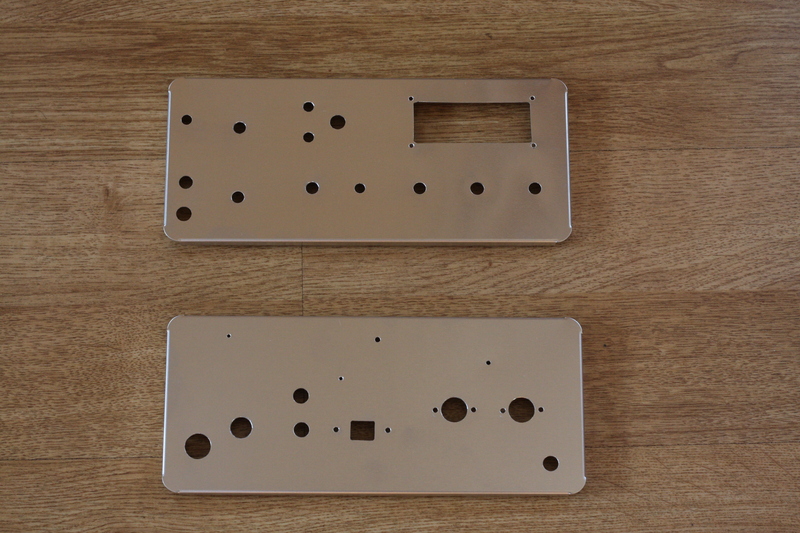 The metal work completed for front and back panels. 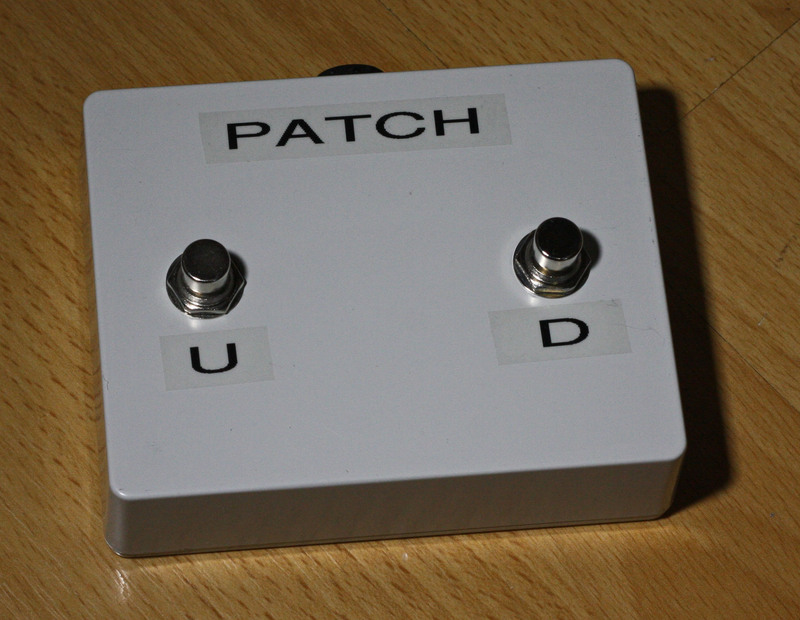 Gain, Volume, Input and Tone Switch. 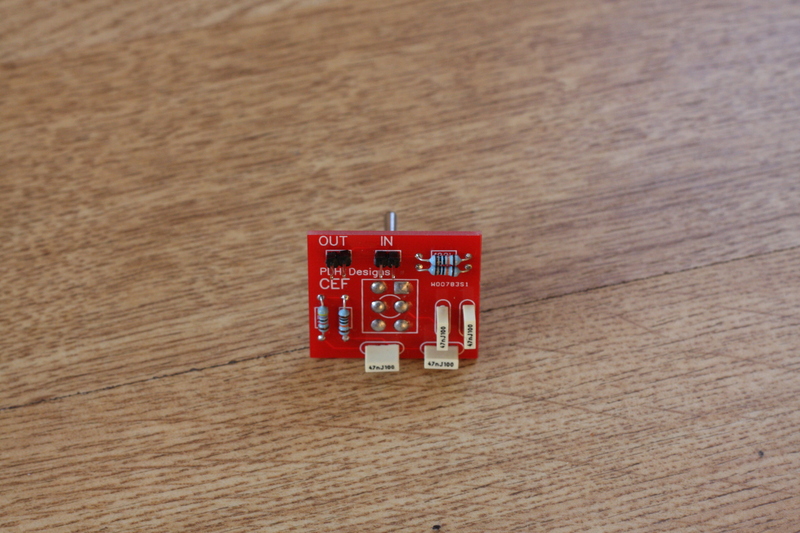 CEF Board – component side. 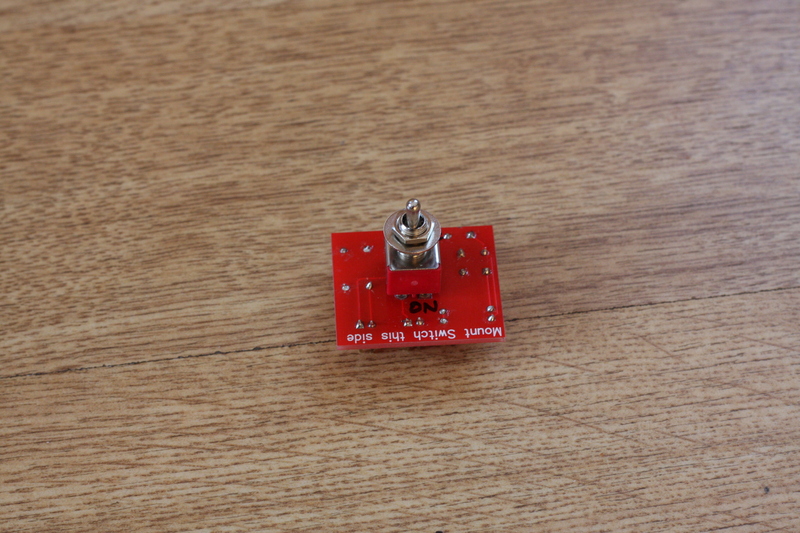 The MIDI Interface – it’s tiny! 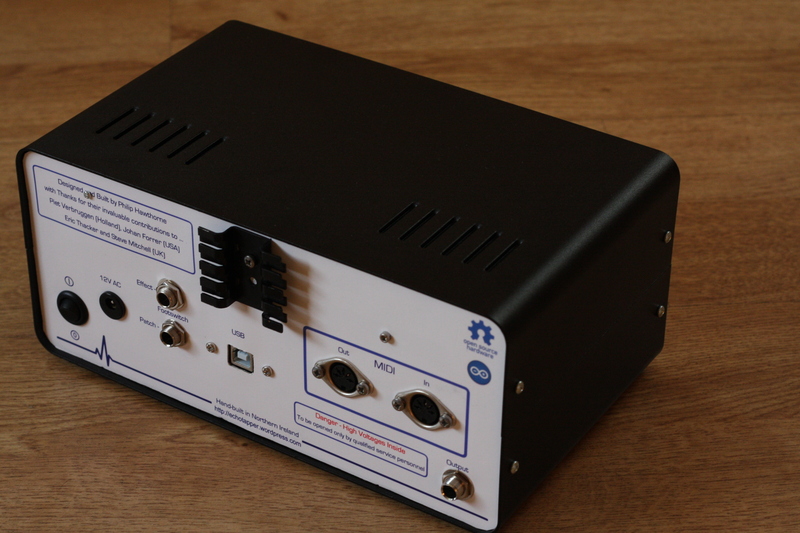 The MIDI sockets, Output jack socket and footswitch jacks and the bypass circuit – these fit on the back panel. Good view of Ecca’s motherboard and display board joined by ribbon cable. 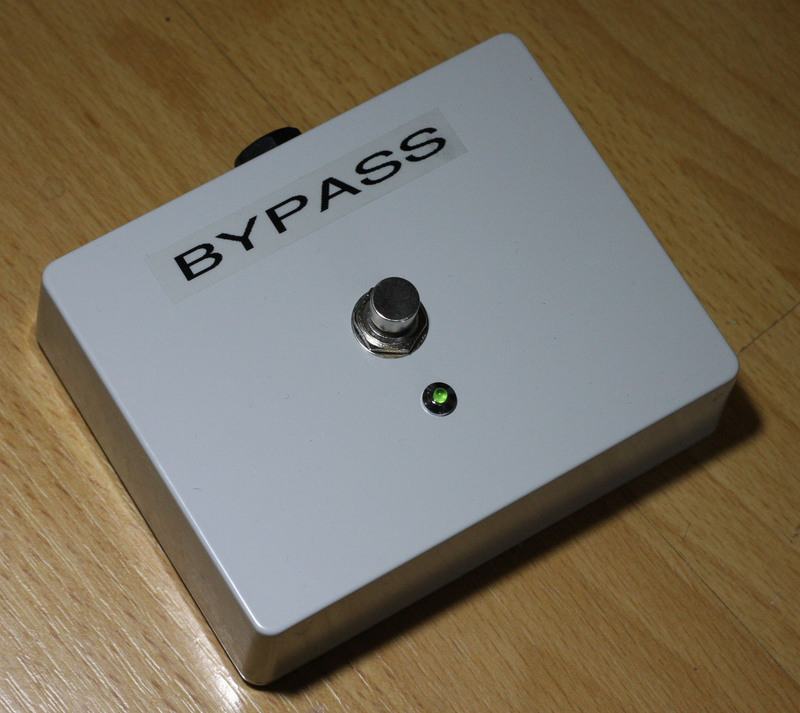 The bypass footswitch. 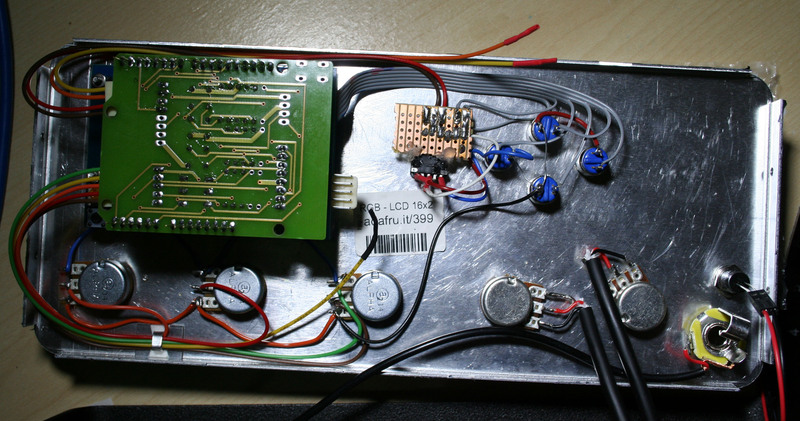 The LED is on if the echo is on. 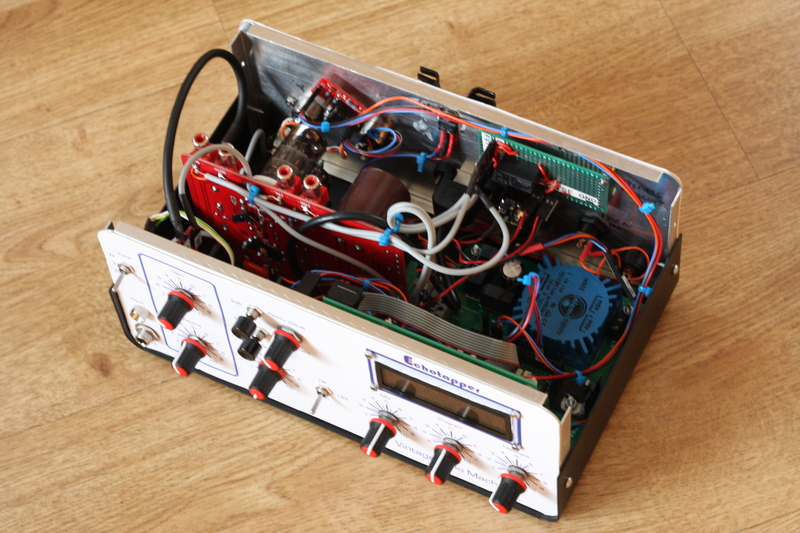 This entry was posted in Audio, Hardware, Projects, Tube, Valve on October 30, 2014 by guitarphil. 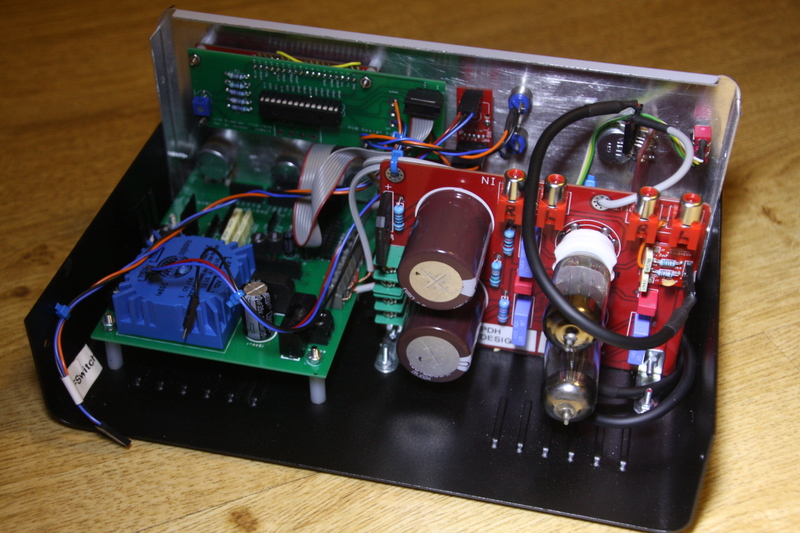 I’ve just completed what I’m calling ‘Stage 3’ of the modifications to the Yuan Jing 6N3 valve (tube) pre-amplifier that Steve Mitchell and I have been working on. 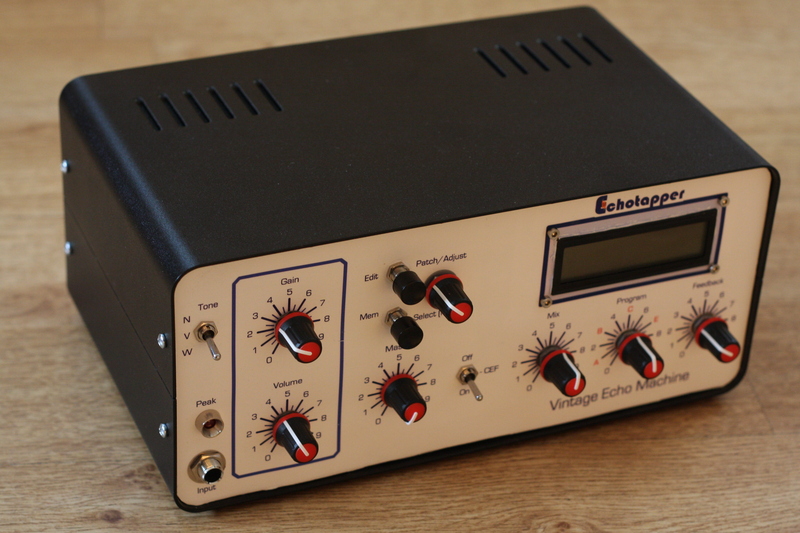 As you probably know, Eric Thacker (aka Ecca) originally came up with the idea to use a fairly low-cost ready-made Chinese valve preamp that is available from various sellers on eBay, as a front end to the eTap2HW module programmed by Piet Verbruggen to emulate the vintage echo machines used by Hank Marvin, the lead guitarist of the British group The Shadows. 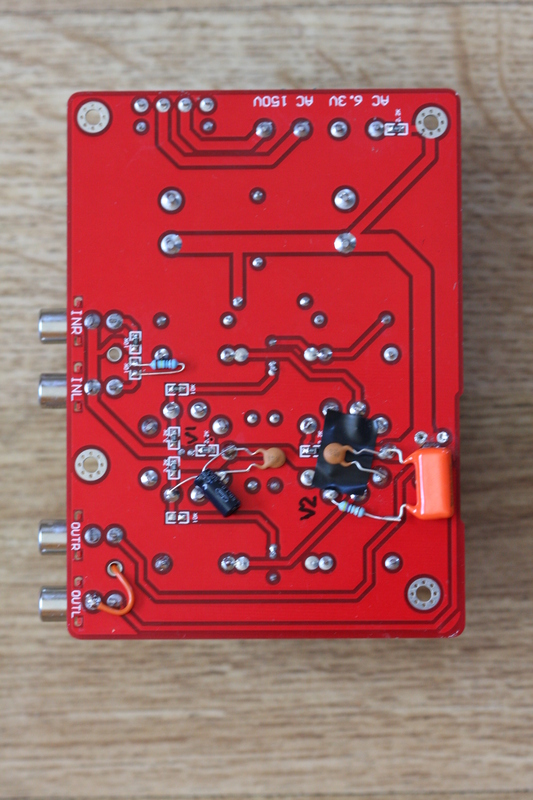 I will shortly be providing the details of how to carry out these modifications but in the meantime I feel the time is right to publish a couple of test recordings that I have made using the ‘Stage 3 Modified’ Valve Echotapper so others can judge the results for themselves. In both these recordings (which are made for the sole purpose of education and research) I have used the original recordings by The Shadows but have been able to turn Hank’s lead guitar parts on and off as and when I wish. I recorded myself playing the lead part to this ‘backing track’ and rendered the finished tracks you will hear below and alternated the lead part between Hank and myself. (There is a short section just after the start of “Theme for Young Lovers” where we both play together). No additional effects were added to Theme for Young Lovers. Blue Star had some EQ added to the recorded track before rendering it to the final mp3. 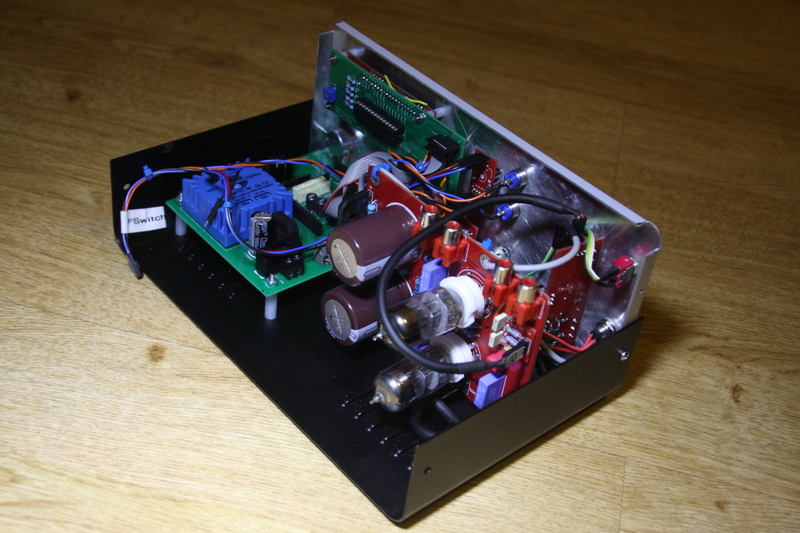 This entry was posted in Audio, Tube, Valve and tagged recording, tube preamp, Valve on March 25, 2014 by guitarphil. 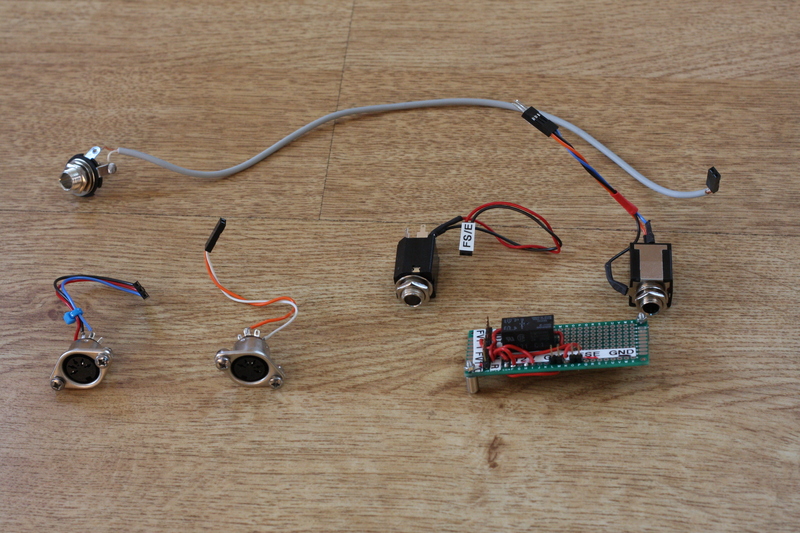 Pots, from L-R are: Control pots P2, P1 and P0 then the Output and Input Level controls for the valve preamp, the input jack socket and the ‘peak’ LED..
I’ve finished wiring the pots and the ‘peak’ LED on the front panel. That should be the front panel now completed and ready for the application of the self-adhesive film with the control labels and graphics. 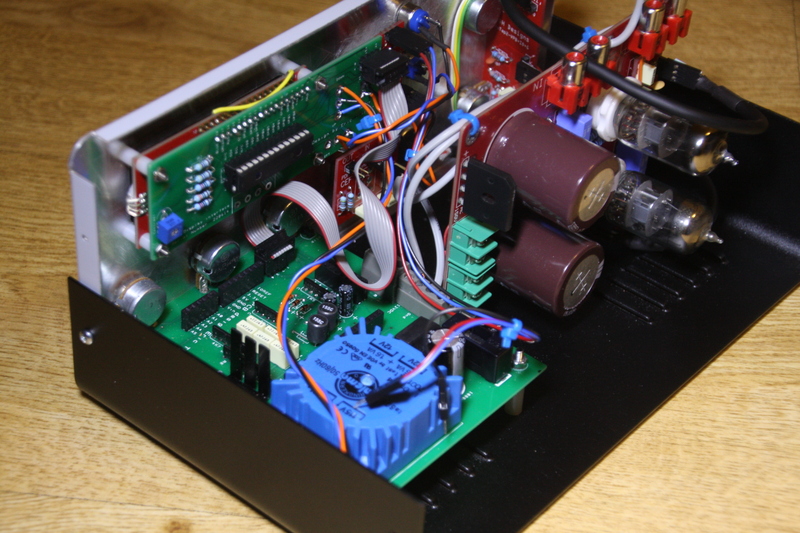 This entry was posted in Audio, Hardware on June 3, 2013 by guitarphil.